Sample Wainwright's western Coast to Coast Walk on a 2-day self-guided walking holiday. Accommodation, luggage transfer and customised holiday pack included. 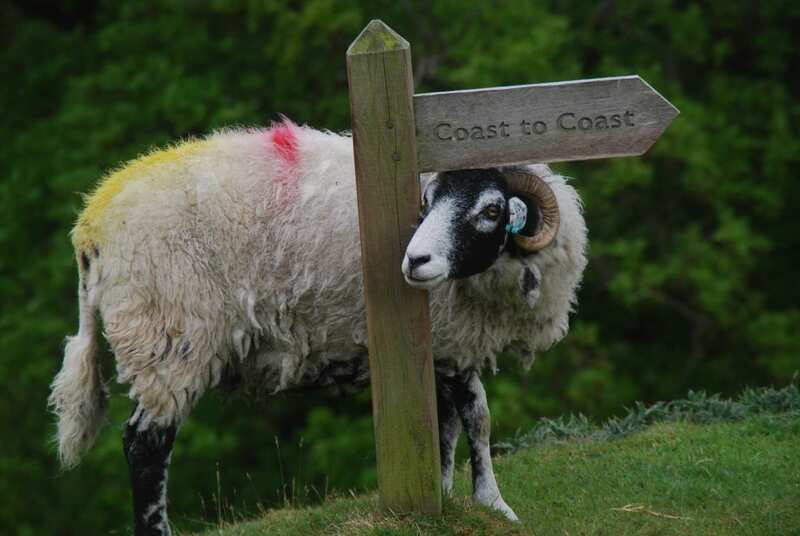 A short self-guided walk along the western stretch of the Coast to Coast Walk from Rosthwaite to Patterdale. 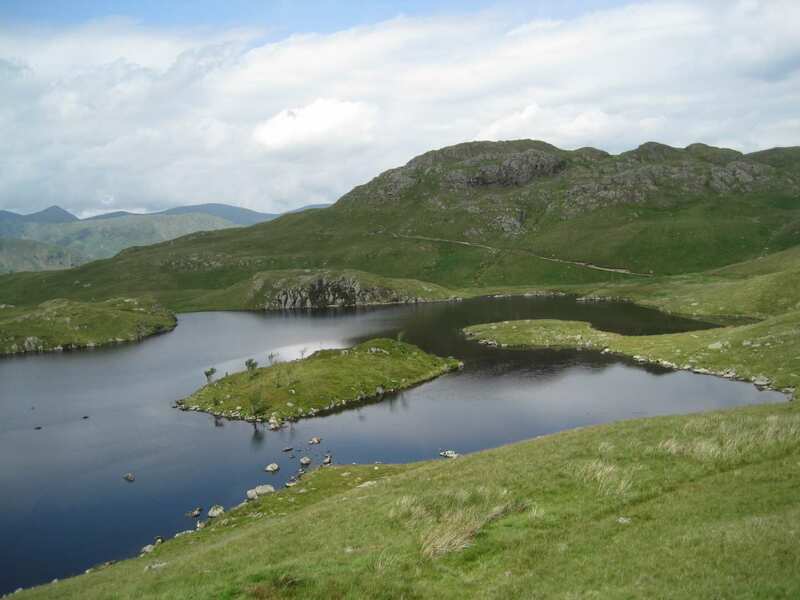 This walk explores part of the Lake District section of the Coast to Coast Walk. The route explores a beautiful region filled with dramatic mountains, quaint villages and expansive lakes. 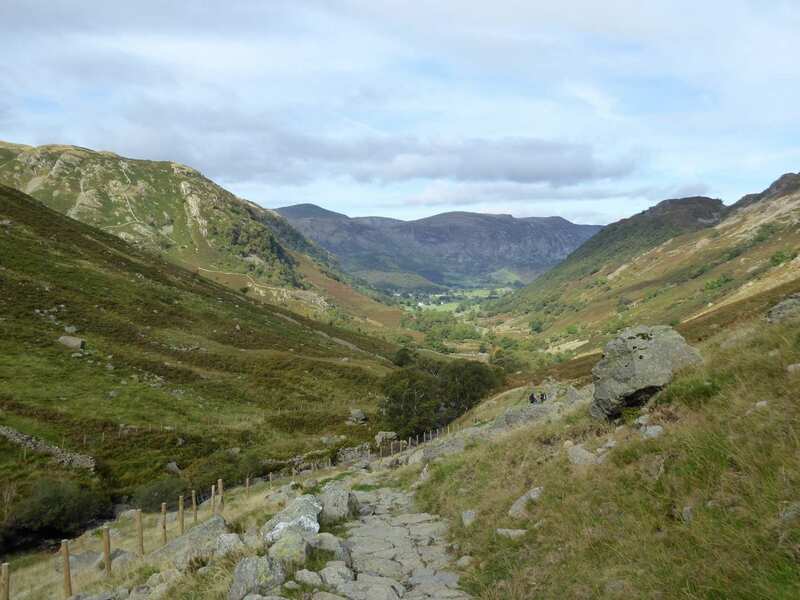 Starting from Rosthwaite, the trail meanders upstream encountering a series of fabulous waterfalls, before enjoying distant mountain views atop Greenup Edge. Hardy mountain sheep graze valley pastures on the way to the village of Grasmere, renowned for being Wordsworth's home. 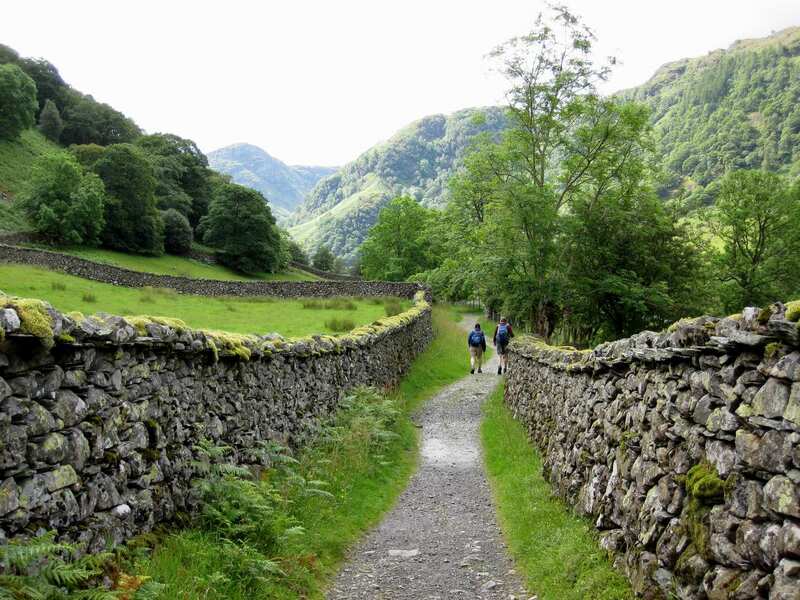 The route then winds along undulating summits and descents past the cliffs of Helvellyn, before plunging into Glenamara Park and arriving at beautiful Patterdale. Admiring some of the best scenery in the Lake District, from glistening waterfalls to imposing fells. Exploring Grasmere and visiting Dove Cottage - the best-known home of William Wordsworth - and St. Oswald's church, the last resting place for the Wordsworth family. Swapping stories with fellow walkers in the welcoming pubs and inns along the trail. Dog friendly accommodation in Grasmere is expensive; therefore, an additional upgrade supplement may be required for your accommodation in Grasmere if you choose to bring your canine companion. An extra night gives you the chance to explore some of the villages and old market towns along the trail, catch up with writing postcards or to simply relax and give those weary legs a rest. Rosthwaite is a good choice for a rest day. There are many lovely walks in the hills around Borrowdale or you could catch a bus into the bustling little town of Keswick. There is also plenty to see in Grasmere, particularly for fans of literature. Here you can visit Dove Cottage, the best-known home of William Wordsworth, the school where Wordsworth once taught, now home to Sarah Nelson's famous Gingerbread Shop and St. Oswald's church, the last resting place of the Wordsworth family. If you prefer somewhere quieter, we suggest taking a rest day in Patterdale. A terrific walk here starts by taking one of the iconic Ullswater Steamers across the lake and returning along the lakeshore path. By Air - The most convenient major city and international airports are Durham-Tees Valley, Leeds Bradford and Newcastle. By Rail - The nearest rail stations to the start of the trail (Rosthwaite) are either Penrith - North Lakes (about 24.5 miles away) or Windermere (about 27 miles away). The nearest rail station to the end of the trail (Patterdale) is at Penrith North Lakes (about 14 miles away). By Bus - Various bus services run to Rosthwaite and from Patterdale. From London - Trains run from London Euston station to Penrith - North Lakes. From there a bus/taxi will be required to Rosthwaite. Return To The Start - The easiest way to return to the start of the trail, is to take the bus from Patterdale to Rosthwaite.